Red Series - Nylgut made firstly elastic and then added with red copper powder in order to increase the density to about twice that of standard white Nylgut. Slightly rough surface; this texture has eliminated the squeak that sometime happen with the Nylguts. 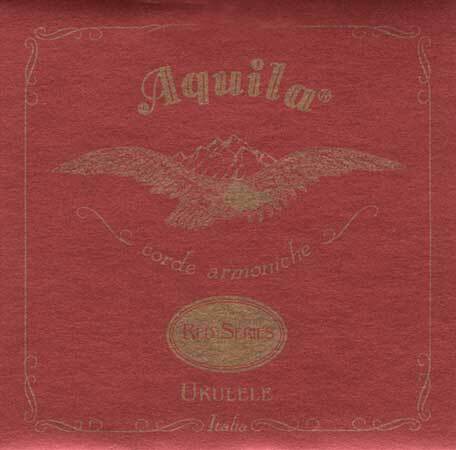 The new red-brown strings feature a great feel, excellent elasticity and accurate intonation past the 12th fret. Pressing strongly the string on the frets, the note does not became sharper. It is not necessary to file the nut slot wider to accommodate it.